An editor is stepping down from a weekly newspaper after four years in charge and almost three decades in the industry. Amanda Chalmers, left, has edited the Stratford-upon-Avon Herald since 2014, but has now decided to leave her post due to “personal reasons”. 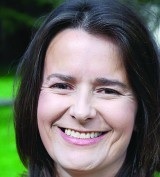 At the time of her appointment, Amanda was the independent Herald’s first new editor for a quarter of a century following the retirement of Chris Towner. During her tenure, the Herald marked 400 years since the death of Stratford’s most famous resident William Shakespeare and also successfully campaigned for the town to be given its own edition of board game Monopoly. The paper was also highly commended in the Weekly Newspaper of the Year category at the 2017 newsawards. The Herald editor’s job is currently being advertised on HoldtheFrontPage, and can be found here. During her career, Amanda has served as a sub-editor/production manager at the Northampton Chronicle and Echo. She then spent eight years as deputy editor at the Buckingham Advertiser – a position she later held at the Daventry Express prior to taking on the Herald job. Amanda declined to comment further when approached by HTFP, but said her departure was for “personal reasons”. HTFP has also asked the Herald for a comment.